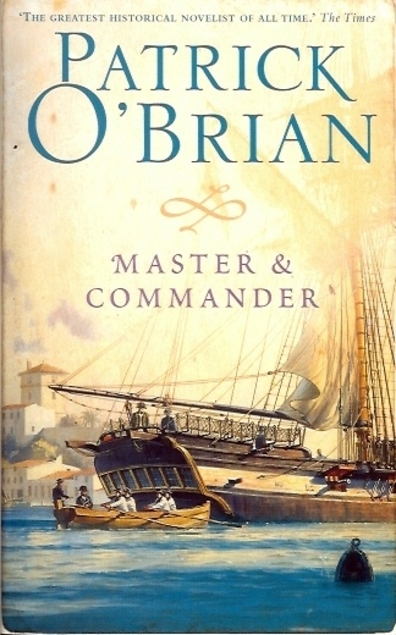 This entry was posted in Books and tagged Aubrey-Maturin series, historical fiction, Master and Commander, naval history, Patrick O'Brian by Katrina. Bookmark the permalink. I’ve often thought about reading this series, because of the high praise that O’Brian garners. But I’m not partuclarly keen on seafaring tales so I’ve tended to put off trying. Or maybe I just don’t to find myself embroiled in a long series! It is a bit like Hornblower but I thought not as good although I just read one of those ones years ago. I’ll stick with this series for now but maybe not past the third one about Surprise. I had similar feelings about this book…there was too much action and I struggled with the naval terminology, but I liked it enough to continue. I’m six books into the series now and really enjoying it – some of the books are more land-based and devote more time to character development and those ones tend to be my favourites. I don’t agree with The Times (I think Dorothy Dunnett is better) but I am becoming more impressed with O’Brian the more of his books I read. That’s good to know – that you are enjoying them more now. I certainly agree with you about Dorothy Dunnett. I love this series so much, despite being as confused as Stephen about the ships themselves! I’ll be curious to see what you think of the next – I can see Jane Austen’s influence in it, and I know he was a big fan of her books. I agree too about Dorothy Dunnett. I think I remember reading that she & POB admired each other’s writing. I have number three but not two so I’ll have to get it online soon. That’s interesting that Dunnett and POB admired each other’s writing.